Justice for Iran (JFI) focuses on two Bills under consideration by the Islamic Republic parliament further limiting women’s rights and progress in a document entitled Using Rights to do Wrong: Women’s Reproductive and Domestic Labour at the Service of Nation-Building. The document was submitted by JFI to the Communication Procedure of the Commission on the Status of Women. Communications are sent to the relevant government allowing a 12-week-long period for response. Given JFI’s deep concern over the Bills, the same submission was sent to the United Nations Working Group on Discrimination Against Women in Law and in Practice. The Working Group highlights the manner in which the bills endorse discrimination against women in law and in practice in both family and cultural life. JFI raises its deep concern over both Bills that place the progress, freedom, choice and rights of millions of women at the mercy of national leadership. Following statements by the country’s Supreme Leader to double the country’s population as soon as possible, senior Iranian officials have concluded that a radical shift in the country’s population control policy is in order, progressively limiting women’s access to the labour market and providing policies and measures that coerce women to give birth to more children. Accordingly the Bills illegalize vasectomy, greatly limit access to contraceptive methods, merit family men in the job market while limiting women’s access to the work place, essentially confining women’s role in terms of reproduction as her sole function. 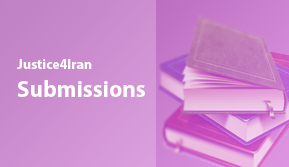 The submission offers an informative and descriptive overview of two highly controversial bills under consideration by the members of the parliament in the Islamic Republic of Iran. First is the Comprehensive Population and Family Excellence Planwhich was proposed in May 2013. The second Bill Increase Birthrate and Prevent the Fall in Fertility Rate was proposed on 20 April 2014. In March 2014, introduced under a single urgency status to the Iranian Parliament to repeal the 1993 Family Planning Act, passed a first reading in parliament with the support of half of parliamentarians in attendance. JFI’s submission presents a critical perspective of the Bills that legitimise discrimination against women by limiting their rights in marriage, childbearing and access to divorce through legalising restrictions on the use of male and female contraceptive practices and women’s access to reproductive health. JFI’s submission presents a critical perspective of the Bills that legitimise discrimination against women by limiting their rights in marriage, childbearing and access to divorce through legalising restrictions on the use of male and female contraceptive practices and women’s access to reproductive health. The Bills also reinforce the prohibition of abortion and restrictions on women’s progress in education and employment. In addition, both Bills mislead married couples with gifts, loans, healthcare and child benefits that, although not discriminatory against women at first glance, further discourage them from pursuing education and careers outside the family unit. 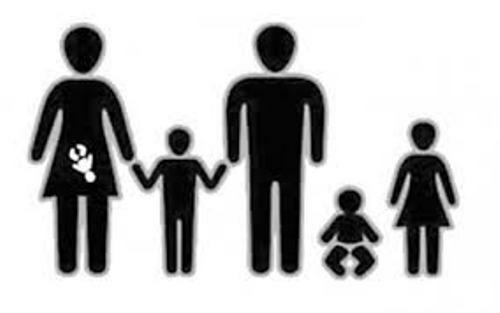 This in depth analysis provides a brief history of population control and family planning policies by the Islamic Republic. It also outlines the negative impact of the Bills on women’s access to sexual and reproductive health care, education and employment, and divorce as means of preventing violence against women, while imposing welfare measures that indirectly restrict women’s marital and parental status. 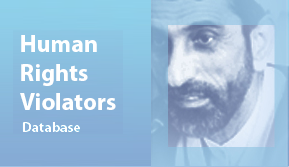 In addition to a number of substantial recommendations focused on the Islamic Republic’s duty to protect and promote women’s right to reproductive rights and health, education, employment and divorce, the submission demands the immediate and unconditional withdrawal of both discriminatory Bills in their entirety. JFI is committed to the realisation of this vital step towards restoration of women’s rights in Iran through any and all legal means at its disposal.